Pharmaceutical Processing // ERX Returns, from mail-in to on-site, and pharmaceutical returns to pharmaceutical disposal. We offer an array of services with a focus on our clients. Express Rx Returns, is a licensed expert within the pharmaceutical returns industry including destruction and disposal. We specialize in exceeding our customer's expectations by being a trusted partner. We are here to serve our customer with utmost care and proven industry leadership. We provide efficient processing of expired pharmaceuticals and maximize our client's return credits. We remain compliant with all local, state and federal regulatory agencies. We provide exceptional customer service and we offer multiple services to cater to each of our client's needs. 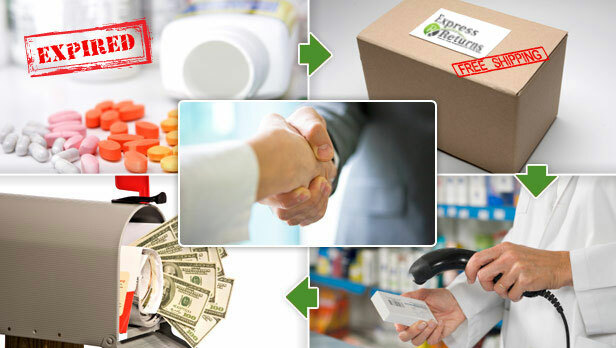 Our PROMISE to you..... We are your company's TRUSTED pharmaceutical returns partner. Our goal is to exceed the expectations of every client, by offering outstanding service with every return. Our focus is client satisfaction. Each return is processed with 72 hours and then dual verified to ensure 100% accuracy. Our policies are constantly being updated to maximize return credits. We provide the lowest and affordable rates to our client's, without sacrificing excellent customer service. At Express Rx Returns, we offer an array of services for our clients. From Mail in or On Site return services, to destruction and disposal needs. We are your trusted partner with a focus on the client. © Copyright 2016 Erx Returns. All Rights Reserved.